An Exaltation of Larks is run by Su Leaver an experienced ceramicist who has been teaching and running classes for many years. The classes are based in her Hackney studio, limited to 4 people so lots of tuition. She tries to make her classes fun and to ensure a creative , relaxed and sociable environment. A lovely way to spend a Sunday. The class was relaxed and fun. I can’t wait to see how the ceramics turn out! Teacher Su is a fantastic person and so giving as she will go beyond and above to give you the right foundation to learn about ceramics. The workshop is small and cosy and you can get detailed information from Su anytime you need support during the classes. You learn different techniques each week and all your items that you build throughout the course will be fired and given to you at the end. I was so happy with the results and the way the whole process went so now thinking of attending further classes of Su. 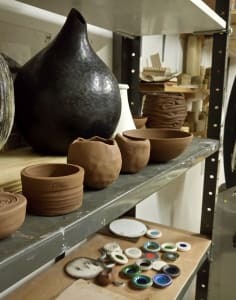 If you are into pottery and would like to start with basics that’s the right place to go, I highly recommend it. Absolutely brilliantly course! 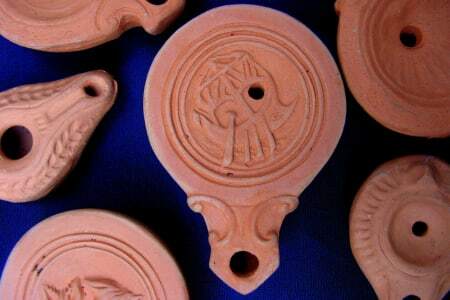 Very knowledgeable and friendly teacher, bringing together archeology and pottery in a very fun yet interesting way. The best afternoon so far this year! Loved it! Su was a wonderful teacher. She made us feel really welcome in her studio. We learned a lot & were really looked after. Great value for money. I’ll definitely be looking into another class with her. I recommended her highly!